TORONTO, ON – The first issue of a new print publication focused on Canada’s craft brewing scene from coast-to-coast is now available. We connect the dots across the country. We delve into the history of beer in Canada and around the world. We look at the socio-economic impacts and challenges facing the industry, and the intense importance of community and sustainability that permeates Craft Beer culture. Our aim is to create a beautiful magazine that is thoughtful, refined, and fiercely independent. We are determined to be challenging, relevant and well read. Contributors to the inaugural edition – cover dated May/June 2017 – include Jason Foster, Derek Harrison, Robin LeBlanc, David Ort, Ben Johnson, Alan McLeod, and many others. 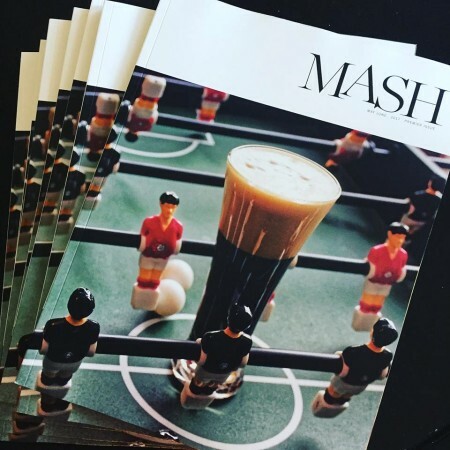 MASH Magazine will be published on a bi-monthly basis, and distributed for free at brewery retail stores and taprooms across Canada. It can also be purchased online for $6.99 per issue, $24 for a one-year subscription, or $36 for a two-year subscription. For more details, see the MASH Magazine website, Facebook page, and Twitter feed.